CaribPR Wire, NEW YORK, NY, Weds. June 1, 2016: This National Caribbean-American Heritage Month (NCAHM), Invest Caribbean Now (ICN), the private sector investment agency of the Caribbean, is celebrating the 110th anniversary of NCAHM by putting the spotlight on economic investments in the Caribbean region and the U.S. and Canadian Caribbean Diasporas. For an appointment, submit completed executive summary of project that includes bios of company executives, financial overview and projects and contact details to Ana Gonzalez at agonzalez@hardbeatcommunications.com. Appointments will be confirmed directly with developer based on preliminary company and project evaluation and interest. It began with an annual investment forum that featured investment bankers, private equity investors, ministers of governments, hotel developers, tourism officials, architects, real estate developers, financial advisers, entrepreneurs, Chinese government officials and investors as well as the media in a giant match making event that put the spotlight on investment opportunities in several Caribbean nations including Bermuda, the Turks & Caicos Islands, St. Martin and Trinidad & Tobago. 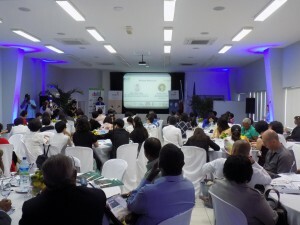 Based on its effectiveness in bringing people together to do business and its network of high net worth lenders and programs, ICN, owned by Hard Beat Communications, expanded it focus in 2015 to become the private sector investment agency of the Caribbean, focusing now year round on matching projects with funders and funding. ICN is the brainchild of Caribbean-born entrepreneur Felicia J. Persaud and is based in America’s financial capital of the world, New York City. 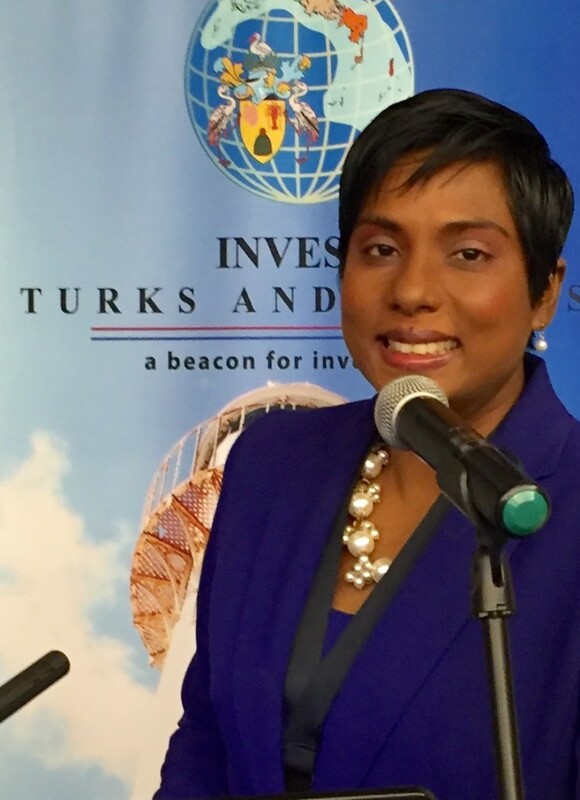 CaribPR Wire, NEW YORK, NY, Nov. 25, 2015: “Unlocking finance for Caribbean-born developers and existing regional companies is key as governments continue to struggle to grow their economies,” says Felicia J. Persaud, CEO at Invest Caribbean Now (ICN). With banks in the region now less bullish on lending there, ICN, the definitive private sector investment agency of the Caribbean, has teamed up with several global private lenders to offer multi-million financing for projects ranging from US$5 million and up for major projects being developed in the Caribbean including building of villas, hotel and mixed-use properties. This comes as the KPMG 2015 Caribbean Hospitality Financing Survey found that non-banks are more bullish on the Caribbean these days, with 17 percent saying it is the perfect time to lend in the region especially in Antigua, Barbados, Jamaica, Trinidad & Tobago and Turks & Caicos. Not to be left out, ICN is also offering access to capital for Caribbean & Hispanic small to medium enterprises in the US or Canada. The options include cash advances to existing micro-enterprises on invoices as well as low interest loans and lines of credit of between US$5,000 to $250,000 to qualified business owners seeking capital for expansion and growth. Key projects ICN is teaming to support include hotel financing, refinancing and/or expansion; renovation, expansion and acquisition of existing hotels, building and renovating apartments or villas. Other sectors will be considered on a project by project basis. Invest Caribbean Now promotes and pushes for the right investment opportunities in the Caribbean region; offers a concierge service for high end investors seeking to make the right connection with key opportunities, governments and other parties in any Caribbean destination; connects major real estate projects with debt financing and small entrepreneurs in the US and Canadian Diaspora with small business loans and cash advances. CaribPR Wire, NEW YORK, NY, Fri. Oct. 30, 2015: Access to capital is critical to the growth of small businesses, whether in the Caribbean/Latin America US Diaspora or Canada and often many have nowhere to turn. But true to its goal of wealth building for the region and its Diasporas, Invest Caribbean Now, the global private sector Caribbean investment agency, has teamed with several US-based organizations to expand capital access to small to medium Caribbean and Hispanic-owned enterprises in the US and Canadians Diaspora. ICN is partnering with two top organizations to offer cash advances to existing micro-enterprises as well as low interest loans and lines of credit of between US$5,000 to $250,000 to small to medium-sized businesses. Invest Caribbean Now promotes and pushes for the right investment opportunities in the Caribbean region; offers a concierge service for high end investors seeking to make the right connection with key opportunities, governments and other parties in any Caribbean destination and connects small entrepreneurs in the Diaspora with SME loans and cash advances. 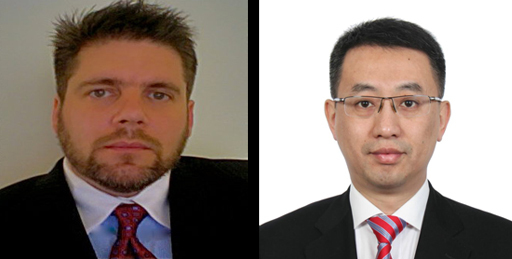 Anthony Eterno, U.S. State Department, Office of Caribbean Affairs, Western Hemisphere and Xiaoguang Liu, consul in charge of economic & commercial affairs of the Consulate General of China in New York are among the ICN 2013 speakers. CaribPR Wire, NEW YORK, NY, Fri. May 31, 2013: Investment in the Caribbean region is bringing together a unique coalition for Caribbean American Heritage Month this June, as the United States, China and the Caribbean unite for Invest Caribbean Now 2013. The sold out Forum on June 5th at the Radisson Martinique Hotel in New York City, comes on the heels of U.S. Vice President Joe Biden’s Caribbean trip on May 28th for the signing of the United States – Caribbean Community (CARICOM) Trade and Investment Framework Agreement, (TIFA) and the first visit to Trinidad & Tobago by the Chinese President Xi Jinping, which will take place from May 31 to June 2. Xiaoguang Liu, consul in charge of economic & commercial affairs at the Consulate of China in New York will headline a panel on China’s growing interests in the Caribbean. Other panelists will include Jianxin Lin, chairman of the American Chinese Commerce Development Association, (ACCDA); and Li Li, managing director of the Chinese American Business Development Center, (CABDC). The Sino-American Friendship Association (SAFA) will present the panel, which will be supported by ACCDA and the CABDC and moderated by Martin Mohabeer, managing director of Spackman Group, a Hong-Kong based venture capital firm. As well, Anthony Eterno, of the Office of Caribbean Affairs in the Western Hemisphere Division in the U.S. State Department, will discuss key issues regarding American investment in the Caribbean Additionally, US-based; Royal Caribbean Cruises, Ltd will discuss its investments in the Caribbean region before an audience that will include over a dozen Caribbean premiers and ministers of government. In 2012, U.S. imports from Caribbean countries under the Caribbean Basin Initiative totalled more than $11 billion, representing a 178 percent increase over the past decade. U.S. exports equalled nearly $12 billion, representing a 133 percent increase over the past decade. In 2011, China announced it would lend $6.3 billion to Caribbean governments, adding considerably to the hundreds of millions of dollars in loans, grants and other forms of economic assistance it has already channelled in the past decade. 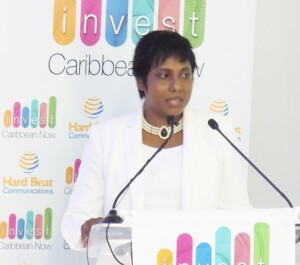 Invest Caribbean Now is organized annually by The Caribbean Tourism Organization and digital media solutions company, Hard Beat Communications, during Caribbean Week in New York. ICN 2013 is sponsored by marquee sponsor Avalon Partners; gold sponsors, The Turks & Caicos Islands Investment Agency and Royal Caribbean Cruise, Ltd; bronze sponsor, One Caribbean Television and supporting sponsors, The Chinese American Business Development Center, the American Chinese Commerce Development Association and No-Jet-Lag. Felicia Persaud, CMO, Hard Beat Communications. and Hugh Riley, secretary general, Caribbean Tourism Organization, (CTO). Private sector representatives will include senior executives from JP Morgan Chase, Merrill Lynch, Nomura, CIBC World Capital, Ibis Investments, Aegis Capital, Portfolio Credit Management Limited, DHL, Marriott International, Spackman Capital, Royal Caribbean Cruise, Ltd., One Caribbean Television, Avalon Partners, Digicel, TCI, Scotiabank TCI and Sun Realty among others. 2013 media partners include the PR Newswire, CaribPR Wire, News Americas Now, WINN FM of St. Kitts, South Florida Caribbean, Caribseek, Antigua Tribune, Bahamas Spectator, Barbados Gazette, British Caribbean News, Caribbean ET Roundup, Caribbean Financials, Cuba Chronicle, Dominica Gazette, Dominican Republic Post, Dutch Caribbean News, French Caribbean News, Grenada Chronicle, Guyana Inquirer, Haiti Gazette, Jamaica Inquirer, Puerto Rico Tribune, St. Kitts Gazette, St. Lucia Chronicle, St. Vincent Tribune, Trinidad Tribune, the Bajan Reporter, The Bahamas Weekly and Bahamas Local.